As Alabama closes DMV locations in black counties, California passes a law to automatically register 6 million new voters. In recent weeks Alabama has been in the news for passing a strict voter-ID law and then closing 31 DMV locations, particularly in majority-black counties where civil rights activists like Jimmie Lee Jackson and Jonathan Daniels died fighting for voting rights. This from the state that was the birthplace of the Voting Rights Act and currently ranks last in the nation in voter access. Over the weekend California moved in a dramatically different direction, becoming the second state–following Oregon–to automatically register citizens who request a driver’s license or state ID from the DMV unless they opt out. The law could add 6 million unregistered voters to the rolls, which would be the largest voter-registration drive in state history. Unlike Alabama, California is using the power of the government to bring millions of new voters into the political process– treating the vote as a fundamental right, rather than a special privilege. 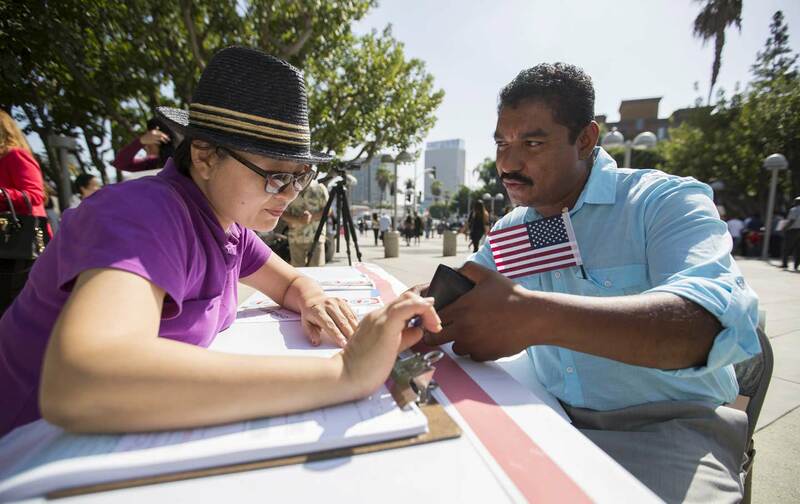 “Democracy is stronger when more citizens can vote!” California Secretary of State Alex Padilla tweeted after Governor Jerry Brown signed the law. You’d think that would be a truism in a democracy, but unfortunately far too many states under Republican control have enacted new laws making it harder to vote in recent years. 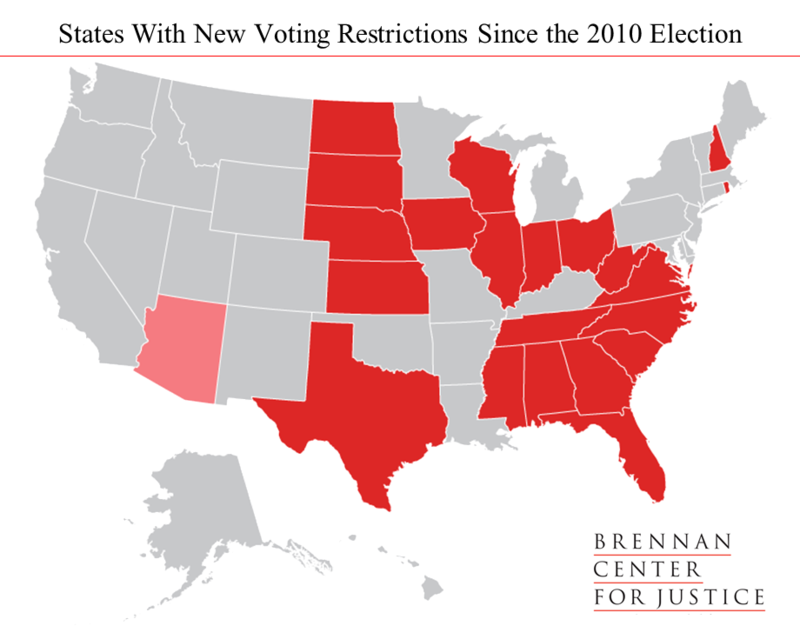 From 2011 to 2015, 468 new voting restrictions have been introduced in 49 states, with 21 states adopting new laws curbing voter access, according to the Brennan Center for Justice. But Democrats and voting-rights advocates have not been similarly aggressive in trying to expand the electorate. Now that is starting to change, especially with the largest and most diverse state in the country passing such an ambitious electoral reform. 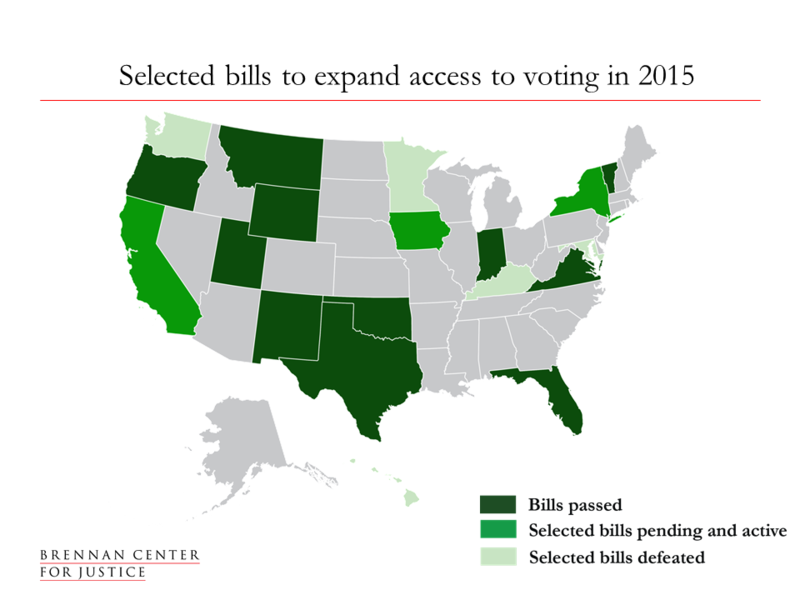 Automatic voter registration bills have been proposed in 16 other states and by Democrats in Congress. It’s a shame that on the 50th anniversary of the Voting Rights Act, a quarter of Americans–51 million citizens–are not registered to vote. Let’s hope more states follow the model of California, not Alabama.